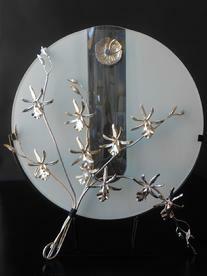 Our metalwork focuses on botanical themes. 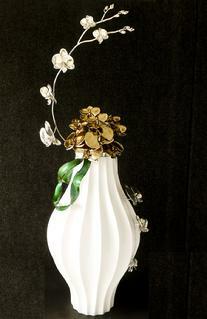 We pay homage to the historical use of metalwork in the decorative arts. 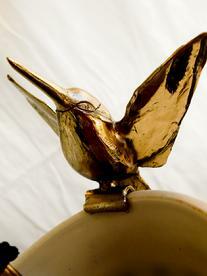 We try to continue to develop that beauutiful use of detailed metalwork in todays contemporarary home envoronment. 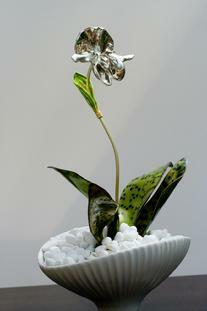 We are often asked how we make these unique, botanically accurate orchid pieces. 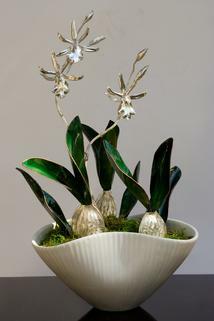 We start by studying a natural orchid, its color and shape, how it grows and emerges from its buds. Deborah creates a botanical drawing to capture this information and the feel of the plant. 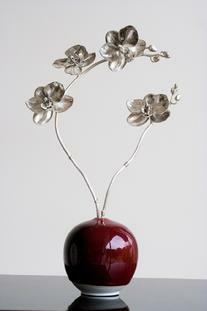 She uses the "lost wax casting method" to create the metal flower. 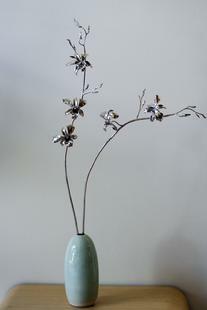 She fabricates, chases and enamels the leaves and engraves the stems. 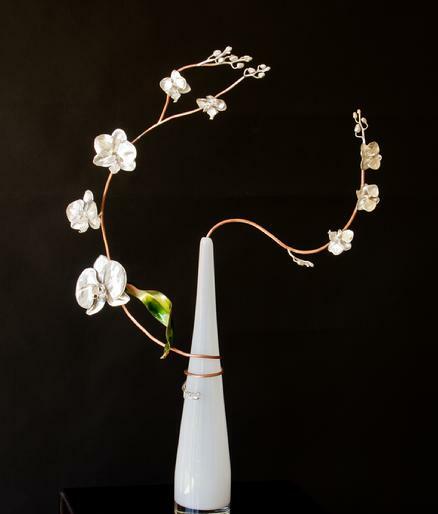 Finally Deborah fabricates the stems to brings the flowers, buds, leaves and stems together and arranges all in displays that reflect her artistic vision. 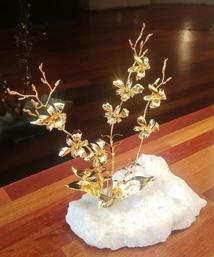 Deborah was inspired to create these Orchid Studies after seeing the exquisite gold orchids at The Huntington Gardens in San Marino, CA and the the Faberge flowers on display in San Francisco. The Orchid Studies seen below and on exhibit at the shows and galleries listed are unique botanical creations, contemporary in a style and all hand made. 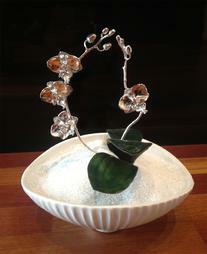 Organic materials such as rock crystal bases are the artist's design and lapidary work. 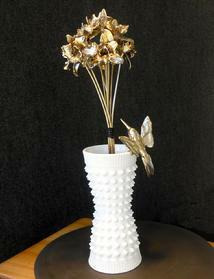 Vases are otherwise selected by the artist from ceramic artists or from the Jonathon Adler collection of vases. 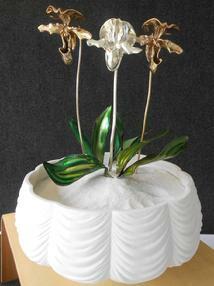 Contact Kelfer Studios regarding the next group of sculptures.